We hope your upcoming holidays are filled with joy. We are standing by to help with any flight need questions, information or quotes, please let us know. Some terrific discounted one-way flights are available, starting at $2,500. Over 34 upcoming flight specials are listed on the website here. We are happy to quote out any flight need. Take advantage of one of the largest reaches in the industry, we will not be undersold and our Best Price Guarantee applies for every charter. 25more specials for December alone are listed here. 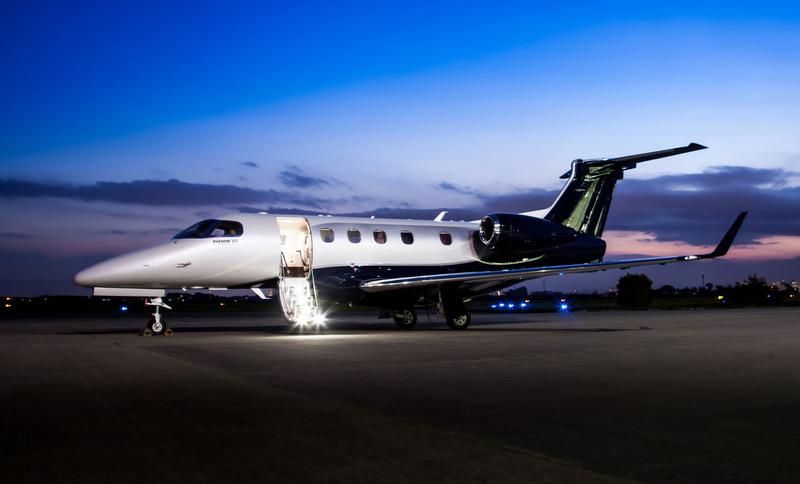 One of the hottest new light jets available for charter is the Embraer Phenom 300. It was the most-delivered business jet in 2013, 2014 and 2015, and is popular for its combination of large cabin, speed and good range. The cabin features 6 full seats plus a mini-galley and a fully enclosed lavatory in the rear. Currently 17 of these aircraft are available for charter in the US. Passenger reviews and feedback have been excellent. Let us know if we can check Phenom 300 availability in particular for your next trip. Wishing you the best, our charter team is standing by whenever needed. Celebrating its 12th anniversary in 2016, rated A+ by the BBB, and named to the Inc. 500 four consecutive years, New Flight Charters has arranged over 12,000 private domestic and international flights with top-rated aircraft, its Best Price Guarantee and a perfect safety history. The company features an acclaimed seven-member management team with a cumulative 43 years in private jet charter, 51 years FAA-certified experience, 114 years executive management experience, 23,200 hours pilot-in-command, and includes private and commercial pilots, former U.S. Air Force officer and retired law enforcement. Client and industry reviews are available on the New Flight Charters website. The company serves a wide variety of clientele including Fortune 500 companies, government heads of state, presidential campaigns, entertainment icons, private families and entrepreneurs.